STATE & UNION is a curated collection of apparel, bags, and accessories from brands committed to quality, responsibility, and practical style. We have created a space where customers can shop for good by focusing on brands who make their products in the US, alongside brands with the highest standards for social and environmental responsibility. Our store is located at the crossroads of Kennett - State Street & Union Street in Historic Kennett Square, PA in the rolling hills of the Brandywine Valley, in the Philadelphia countryside. Our local community is abundant with some of the area’s best craft breweries, independent retailers, gourmet restaurants, and that “ Ol’ Kennett Magic.” Built in 1764, our brick storefront is the former home of the Unicorn Tavern, the original gathering spot in town. In our store & online, we offer you a curated collection of brands that are American Made or “give back” with every purchase; hence our tagline << SHOP FOR GOOD >>. By supporting our mission, you are improving the world with every purchase. 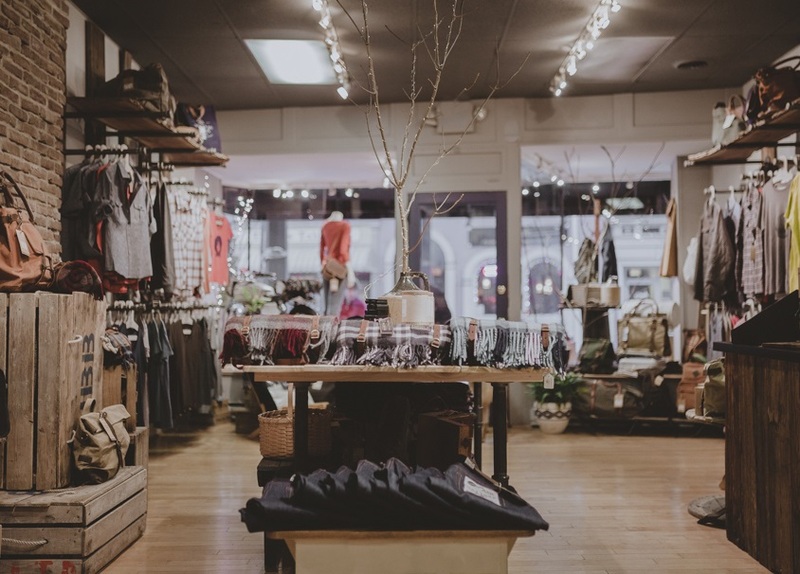 From Heritage brands to local startups - our inventory features Mens and Womens apparel, bags, footwear, and accessories. A great place to find a gift that matters for someone you love.